A resource guide developed by Digital Arts Service Corps VISTA Leader Erica Jones and 4 other VISTA Leaders to highlight the importance of telling the VISTA Leader Story, the basics of storytelling, and the tools available to create and tell a story. Ray was responsible for managing our computer refurbishing lab, including creating a training program for refurbishing volunteers, researching an inventory system, developing and leading technology workshops for our students. While his work in the refurb lab was very valuable, his most significant accomplishment, and the one that was the biggest benefit to our organization, was the workshops he developed for our technology center. Ray spent the year coming up with ideas for the workshops, creating the materials necessary to lead the workshops, and organizing the instructors of the workshops. Workshop topics included digital storytelling, silent movie-making, audio dubbing, and 3D imaging. Ray learned how create (and advertise) workshops that are appealing to teens and eventually had regular attendance at them. Students in our program earn a free computer system to take home. Our policy states that if they attend 5 workshops, they’ll earn enough extra credit to earn a year of free internet access at home. While nearly all of our students earn the home computer, many students weren’t able to take advantage of the free internet since they weren’t getting the opportunity to attend workshops. With Ray’s help, a great number of students were able to attend the workshops that are required in order to earn home internet. While having a home computer is valuable to our students, without internet they remain at a disadvantage when it comes to completing homework and projects for school. Now that Ray’s term has ended we are happy to have a whole library of workshop ideas and materials at the ready. Because everything has already been developed, it is much easier for us to recruit volunteers to lead our workshops, since it no longer requires a significant time commitment on their part. We are pleased that we were able to, and will be able to continue to, offer so many workshops to our students and that they may earn internet access at home. 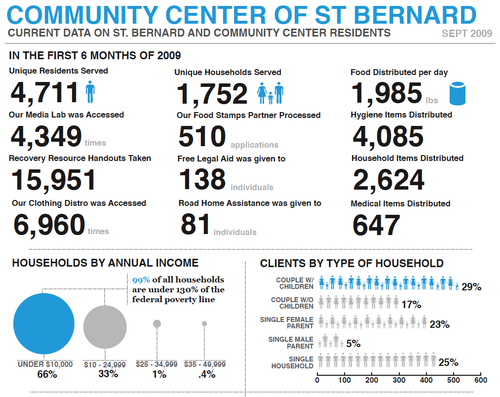 Brandi has been working with CompuMentor and Citizens Housing Corporation for six months. In that time she has provided logistical and planning support, managing a number of CTN workshops including YouthLearn, Writing Great Grant Proposals, Amazing Success Stories, and Youth Media: Digital Storytelling & Animation. Brandi has also been actively involved in the Community Technology Network Steering Committee as a member and secretary. In this role, she has been responsible for keeping members informed about upcoming events and meetings as well as dissemination of meeting minutes and materials. In addition, Brandi has maintained the CTN Bay Area website at http://www.ctnbayarea.org. She has overseen the redesign of the website with volunteers from OPNet’s web design students. In her work as computer technician and consultant at Citizens Housing Corporation she has set up and maintained two computer labs in low-income housing units. Ready to spend two + days with hundreds of fellow producers, artists, students, and audio enthusiasts, talking shop about radio/audio storytelling on the airwaves and beyond? Ready to come together, listen to each other’s work, share ideas and expertise, and make priceless connections with future colleagues and new friends? Thought so. This fall marks our tenth (!) anniversary, and we hope you’ll celebrate with us over the course of another radio-drenched weekend here in Chicago. If you are concerned that our democracy is being usurped by today’s media, that communities are being harmed by the absence of local news coverage, and that diverse groups lack access to the media, now is the time to act! Join us for this informative half-day summit.